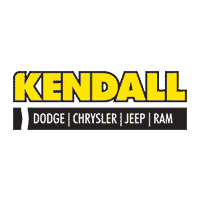 Kendall DCJR of Soldotna features the latest manufacturer offers and incentives on all new Chrysler, Dodge, Jeep, and RAM vehicles. Discover which offers are best for you and drive off in a new car today. Kendall DCJR of Soldotna is dedicated to the car buying customer looking for a higher standard of quality and service. We aim to meet these standards every day we open up shop. We know you’re not the average customer, so we won’t treat you like one. We sell and service top-quality Chrysler models while offering unrivaled customer service and community outreach. Being a family owned business, we love serving our community. We do this by selling American-made cars, trucks, and SUVs in the beautiful Kenai Peninsula area, serving Anchorage, Homer, and Kenai. We show up to work each morning to help our neighbors find their dream vehicle. We want to help students, active and retired military, and commercial providers at your local Soldotna Dodge, Chrysler, Jeep, RAM dealership. Come by today and browse our showroom. You can find our dealership at 44055 Sterling Highway, Soldotna, AK 99669, just a short drive away from Kenai. Once you’ve arrived at our Soldotna dealership, you can test drive some of our popular models such as the Jeep Wrangler, Chrysler 300, or Ram 1500. Start your search for the perfect Chrysler, Jeep, Dodge, or Ram by browsing our inventory of new cars and selection of used cars and trucks in Soldotna. If you have trouble finding what you’re looking for or have any questions, call or contact us online and our friendly team of knowledgeable professionals will be there to help you. Kendall DCJR of Soldotna understands that not everyone is in the market for new Dodge, Chrysler, Jeep, Ram cars. That’s why at our used car dealership you will not only find new Chrysler cars for sale but a wide variety of used cars in Soldotna as well. Our large inventory of Dodge used cars provides our customers looking to make an automotive purchase with many used car options. Furthermore, in our selection of used cars, we have an inventory consisting of Certified Pre-Owned cars. To ensure top quality, our Certified vehicles have gone through several tests and multiple-point inspections. Shop our used car inventory near Anchorage, then give us a call or contact us online if you have any questions. When the time comes for a routine service such as an oil change or tire rotation, we recommend you talk to the guys at our Dodge Service Center. Not only can our team assist you with those routine check-ups, but they can also take care of hefty repairs and parts replacements. We also cater to our do-it-yourself type customers with our Dodge Parts Center that offers a wide inventory of certified Jeep parts and accessories fit for any of the vehicles available at our dealership. Don’t wait! Schedule a service appointment with Kendall DCJR of Soldotna today! We love the state of Alaska and we call Soldotna our home. Thank you for being our customers, our neighbors, and our family, because there’s no place like home and there’s no place like Kendall DCJR of Soldotna.